Chalet Sapphire, La Tania is a bright and airy chalet that benefits from an open plan lounge and large dining area. In the lounge there is a centrally positioned fireplace surrounded by ample comfortable seating - a warm and welcoming place to relax and unwind. There is plenty of natural light from the French windows that lead onto the large South West facing sun terrace of Chalet Sapphire. 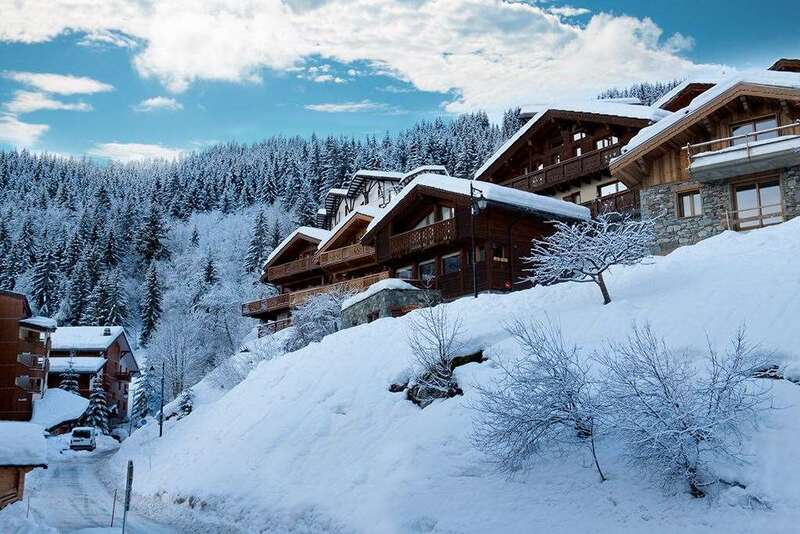 The chalet is equipped with electric boot warmers for your comfort and free Wi-Fi for your convenience and enjoyment.Chalet Sapphire is situated in an excellent position for piste and village access. It is located away from the road up two flights of steps from the lane that winds around the La Tania chalets. There is a 5 minute walk to the pedestrianised village centre and its amenities and skiing from 150m away with a short ski down to the La Tania telecabine. The traditional pine-finished bedrooms all have full en-suite facilities; bright, fully tiled bathrooms with heated towel rails, and rooms 1 and 3 give onto the balcony offering further space, light and alpine views. Chalet Sapphire hosts live in.All rooms can take a cot except rooms 4 & 5. Lovely chalet, very close to the piste, so no buses in the morning or eve. Hosts, Ralph and Sophie, were great. Very accommodating and the day we had with Ralph ski hosting was most enjoyable. Terrific!! This is a nice chalet the hosts are great and made you feel welcome. The food was nice too.